American Sleep Association is an organization dedicated to improving public health by increasing awareness about the importance of sleep and the dangers of sleep disorders. 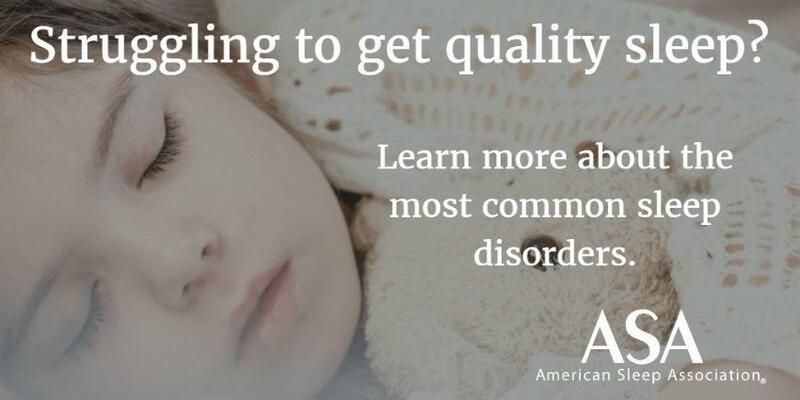 Since 2002, ASA has provided valuable resources to help you get a better night’s sleep. We help people to know the signs, symptoms, and treatment options for various sleep problems including insomnia, sleep apnea, narcolepsy, sleep deprivation, circadian rhythm disorders, restless legs syndrome, snoring and many other sleep disorders. Insomnia refers to trouble falling or staying asleep. It can affect someone for a short time, such as a few nights or weeks. In other cases, insomnia is chronic and can last for months or years. Narcolepsy is one of the major Sleep Disorders or Hypersomnia and is best described as an uncontrollable excessive sleeping tendency, particularly during what may be considered “normal” daylight hours. Sleep deprivation is defined as not obtaining adequate total sleep. When someone is in a chronic sleep-restricted state they’ll notice excessive daytime sleepiness, fatigue, clumsiness, and weight gain or weight loss. Snoring is the sound of turbulence and soft tissue vibration in the back of the throat. The sound of snoring generally does not come from the nose. Rather, snoring sound occurs in the back of the airway. If you usually get less than seven hours of sleep, you are a short sleeper. Many people are short sleepers due to lifestyle choices. Night terrors are a condition in which the subject reacts to a foreboding sense of fear or terror by screaming, thrashing around or crying, whilst still in a sleep like state during outbursts and cannot be awoken without some difficulty. Your circadian rhythm can get out of sync for a variety of reasons. For example, the demands of a job, newborn baby or travel can disrupt your body clock. When your internal rhythm is off, it can affect your sleep. Sleep Disorders represent some of the most challenging medical conditions and effect 1 in 3 people at some stage of their lives. Discover more about the eight key sleep disorders, as well as others, their diagnosis and latest treatments. The American Sleep Association (ASA) was founded in 2002 by a group of sleep professionals seeking to improve public health by increasing awareness of the importance of sleep in to order to improve the quality of life and prevent the consequences of sleep disorders. Currently, our focus is on resolving and alleviating Insomnia, Narcolepsy, Sleep Apnea, Sleep Deprivation and Snoring. Through the research of others, ASA Members and Board have educated millions of people around the world on the importance of sleep health.